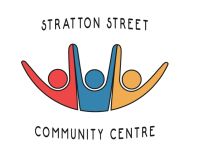 Stratton St Methodist Church Community Centre has been at the heart of community activities in Park Village for over 40 years. During that time it has opened its doors and provided many services and activities to meet some of the needs of a community rich in cultures, multi-faith & ethnicities. Many of the wonderful members of our community face real day to day challenges and the serious kind of hardship that goes hand in hand with social deprivation and living with poverty. The heart of our centre is our community. The centre has recently begun a process of refocussing its activities. Our program is designed to tackle the issues around social isolation, loneliness, boredom , unemployment, poverty, education, health & nutrition. We are in the early stages of starting a brand new program of services and activities. For a full list of the activities and services that take place at the Community Centre please refer to the downloads section of this page. We have also included details of times and any costs involved. Junior Football, Music Studio, Photography Studio, Heath & Fitness sessions, ESOL Classes, Job Skills Workshops, Martial Arts, Self Defence, Social Evenings, Movie Nights, Disco and Workshops. A copy of our latest newsletter can be found in the downloads section of this page along with a document containing a list of room hire charges. For further information on our activities, services and how you can get involved in the centre please contact Gail.